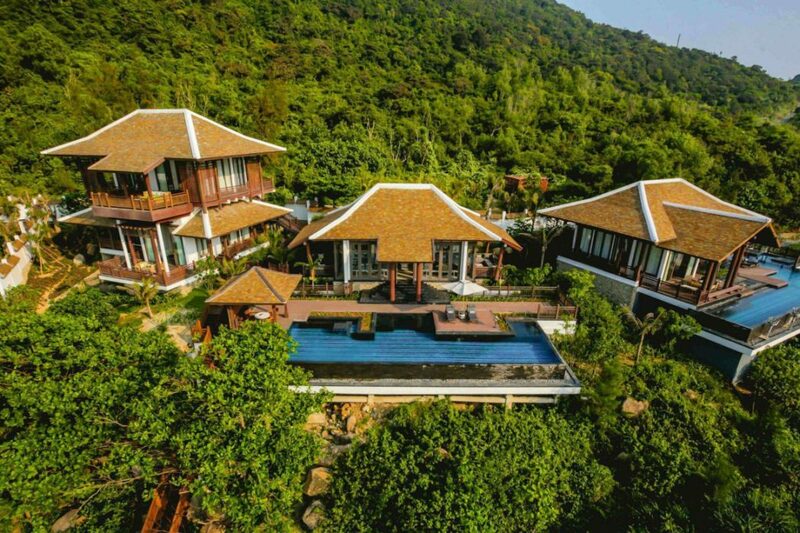 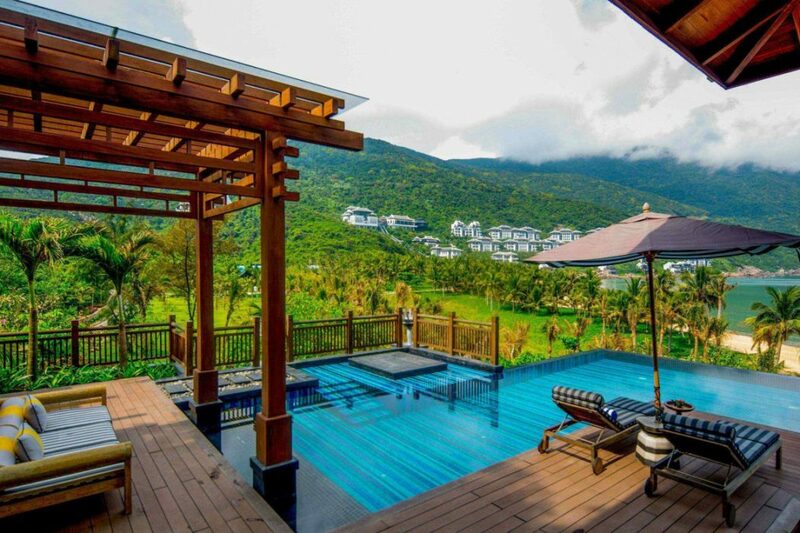 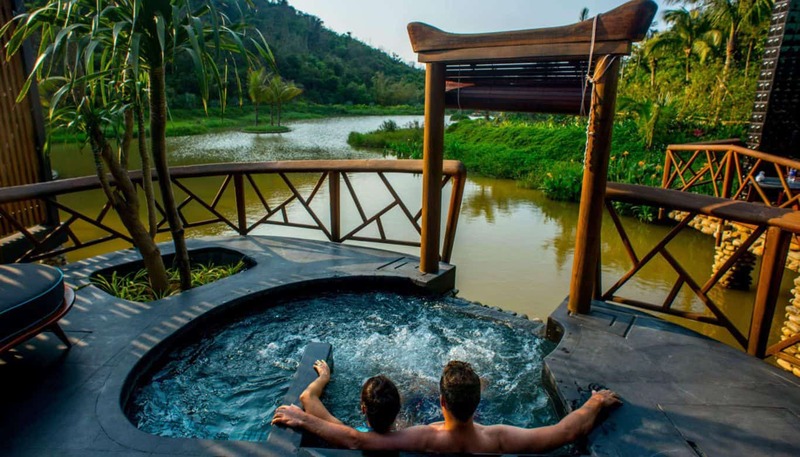 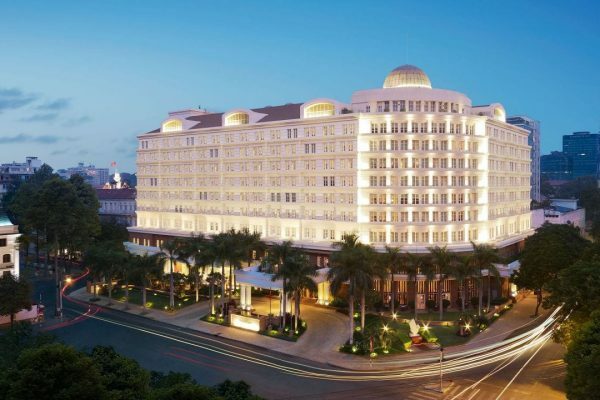 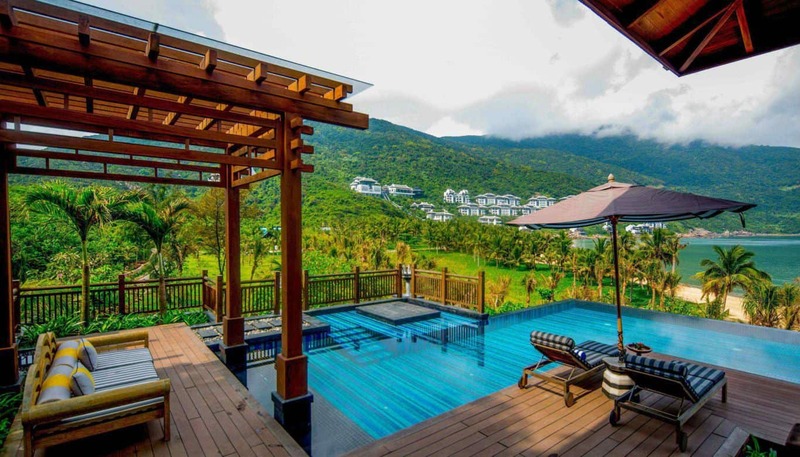 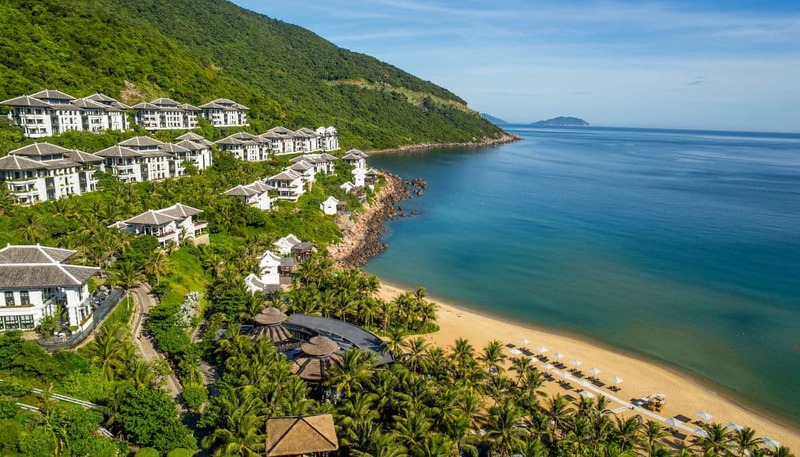 The InterContinental Danang Sun Peninsula Resort is located near three UNESCO World Heritage Sites and set among the pristine beaches and unspoiled forests of Son Tra Peninsula, about 30 minutes by car from the International Airport Danang (20 km) Vietnam. 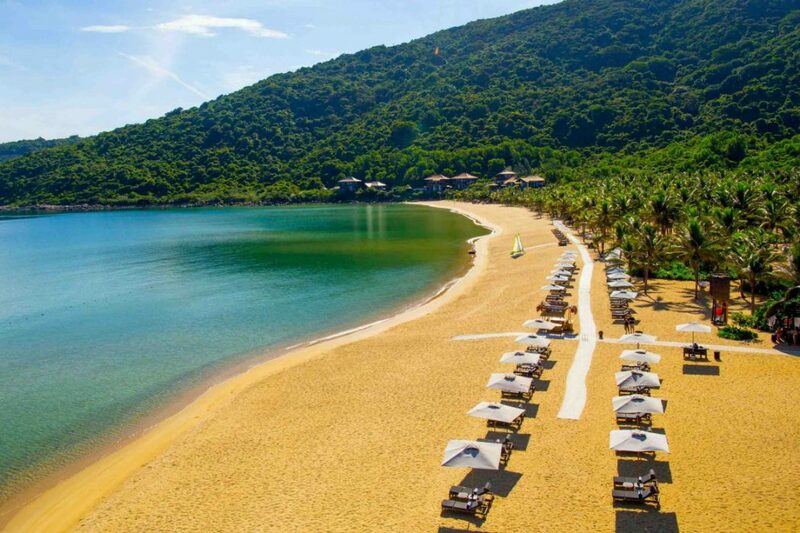 Danang’s famed China Beach beach, with 94 km of white pristine coastline located just 10 minutes’ drive from the resort. 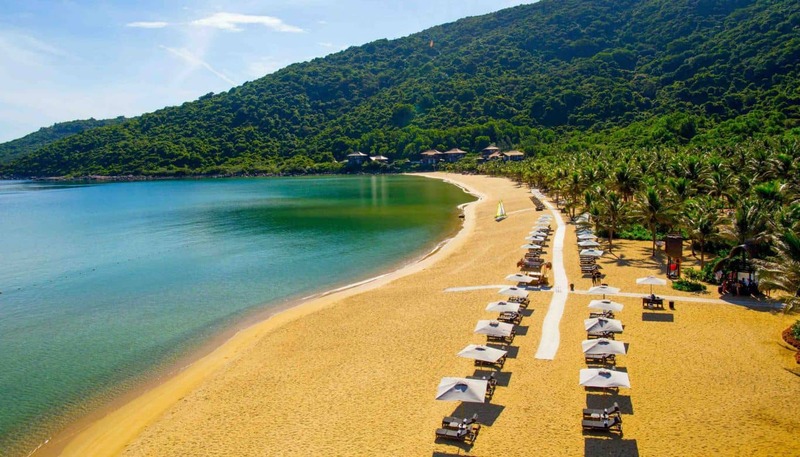 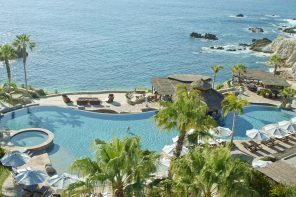 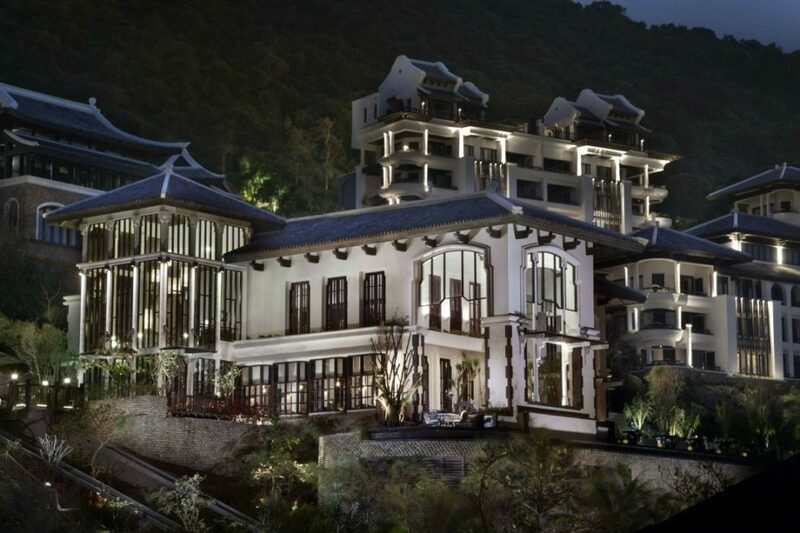 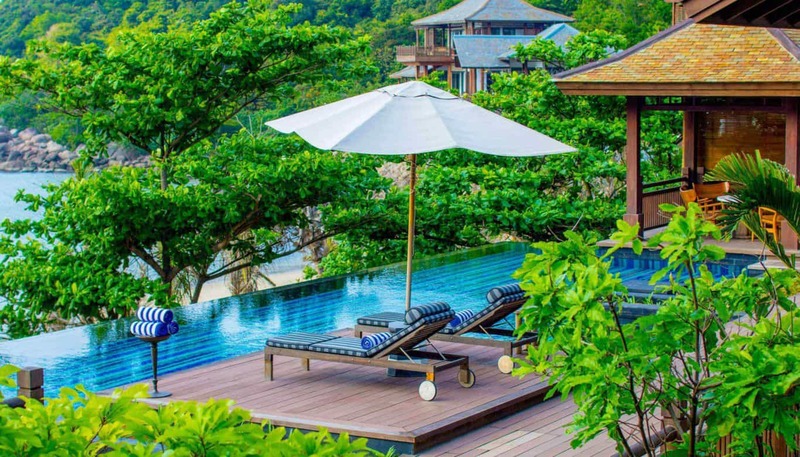 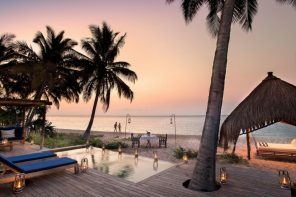 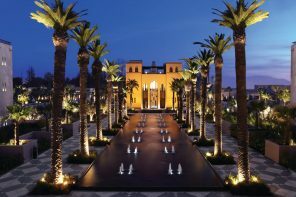 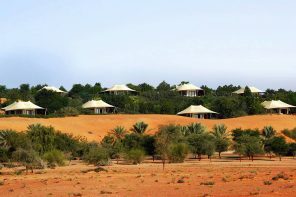 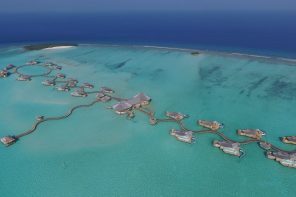 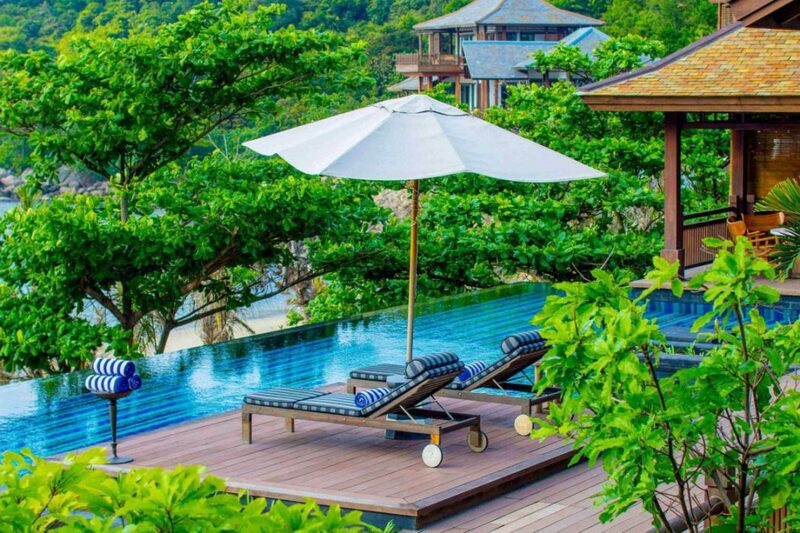 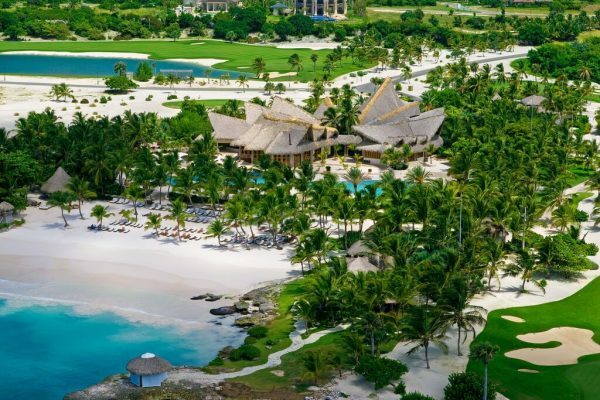 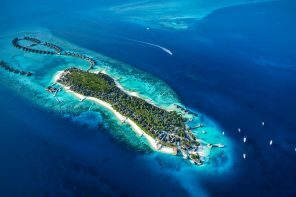 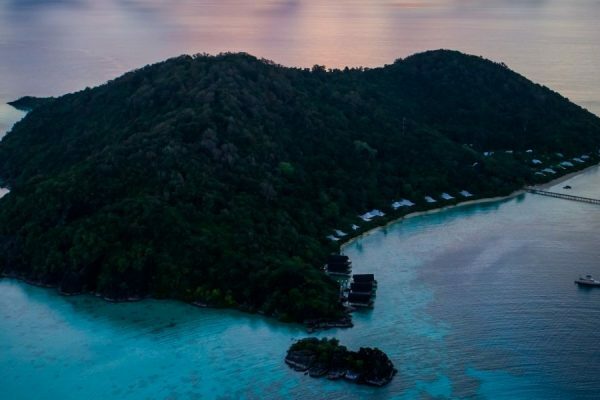 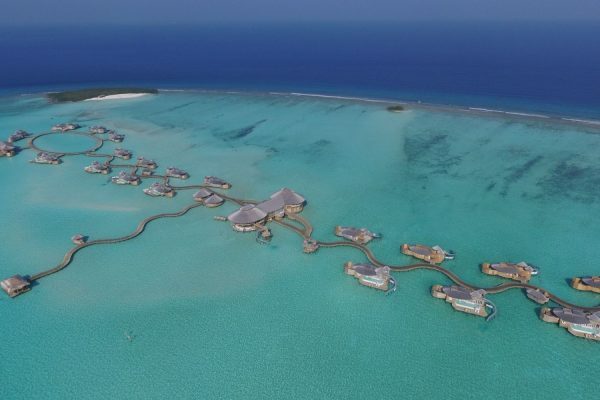 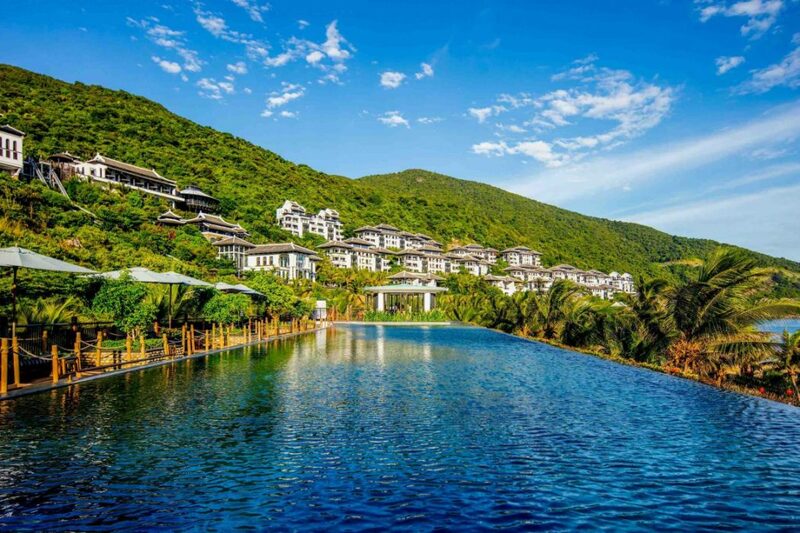 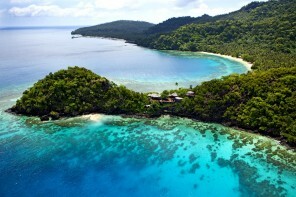 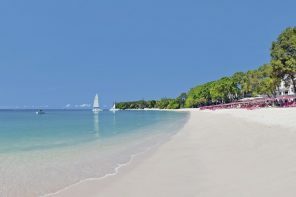 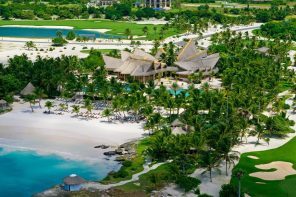 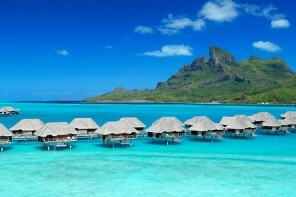 The resort occupied 39 hectare of the peninsula which also included the 700-meter of private beach. 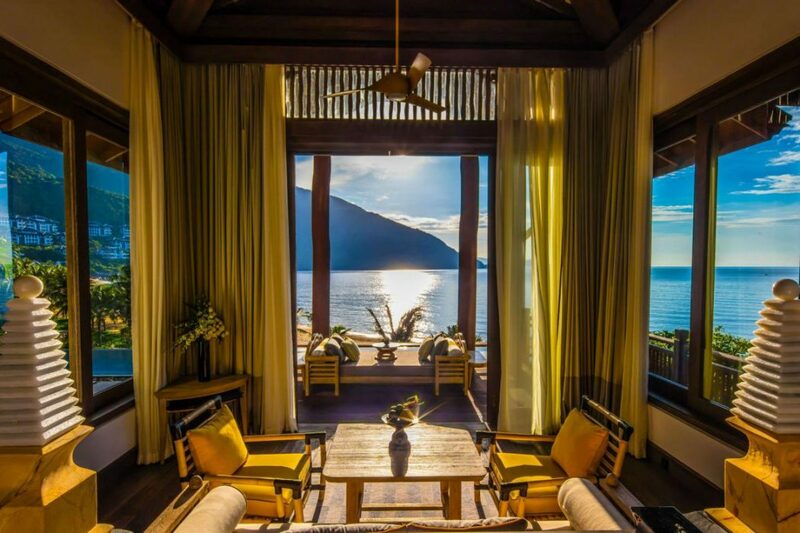 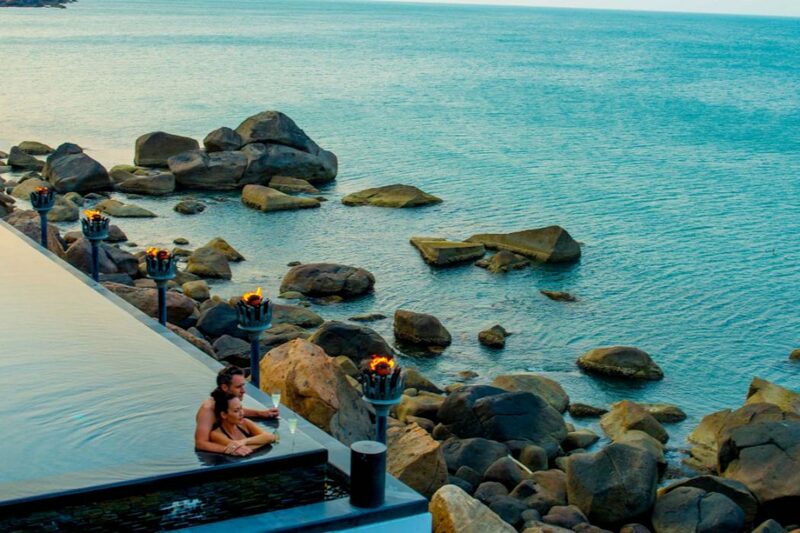 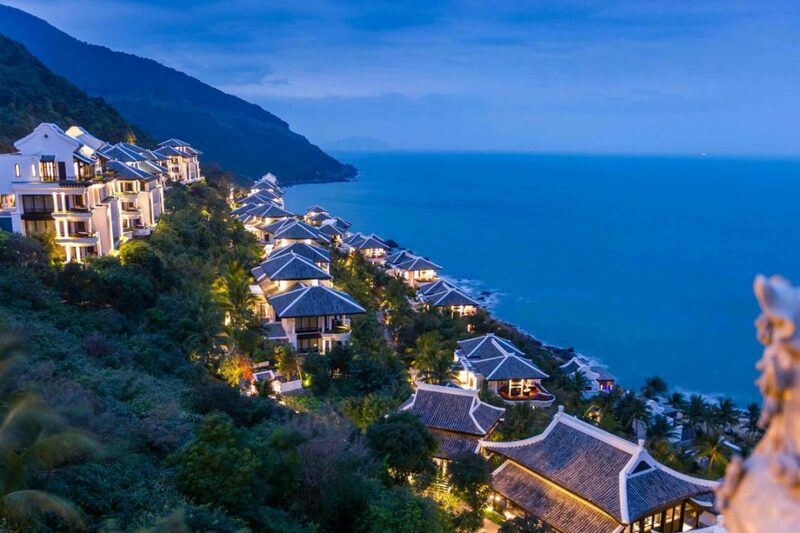 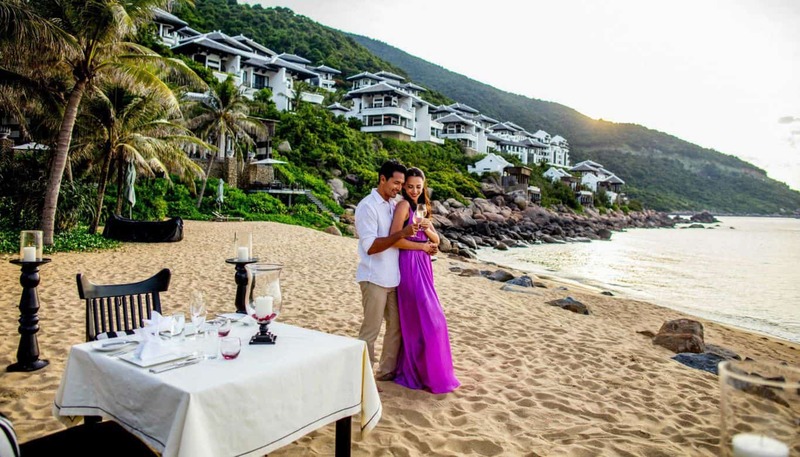 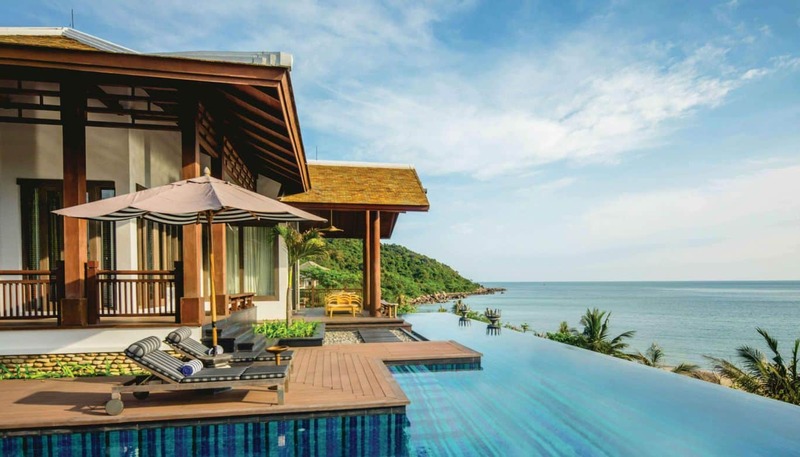 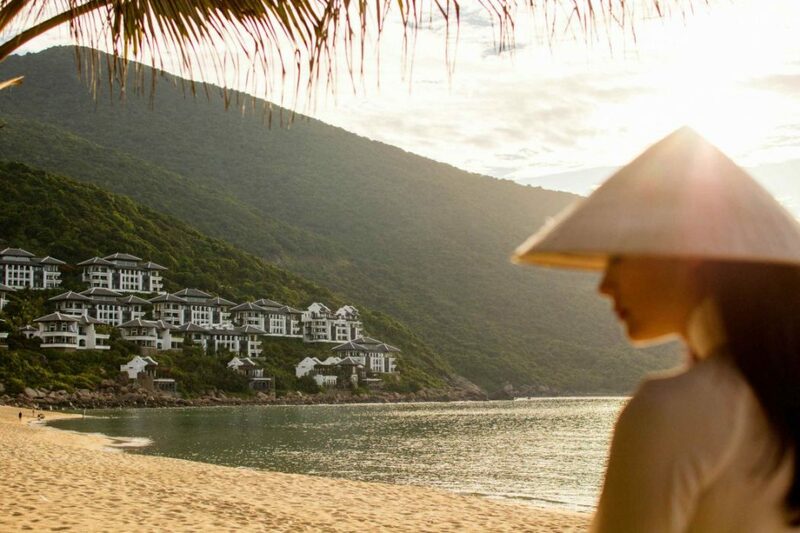 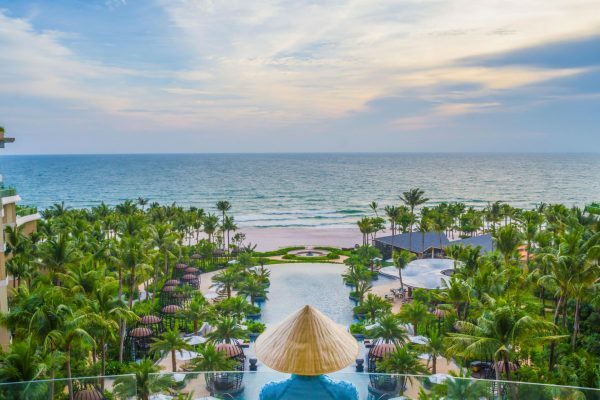 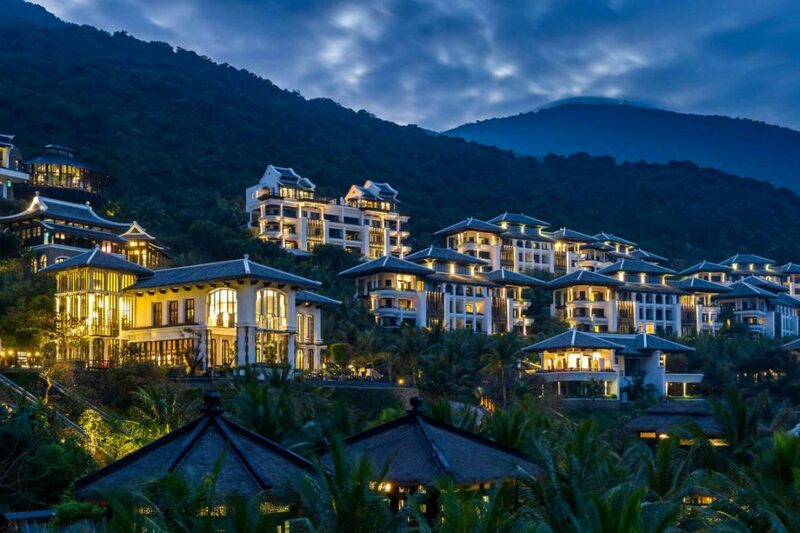 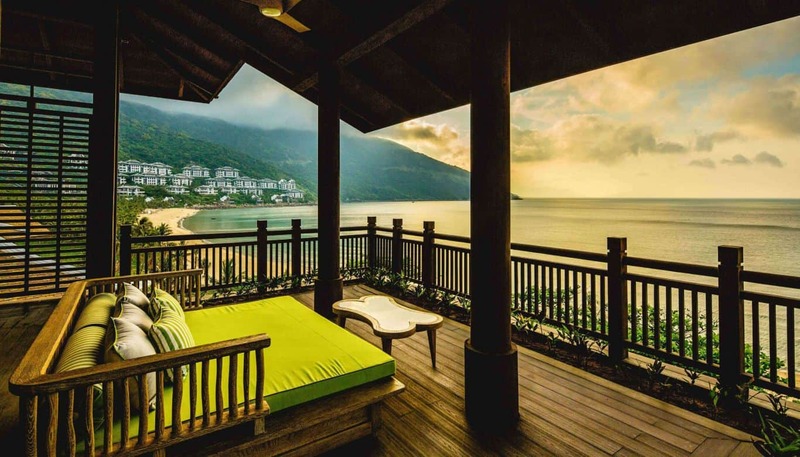 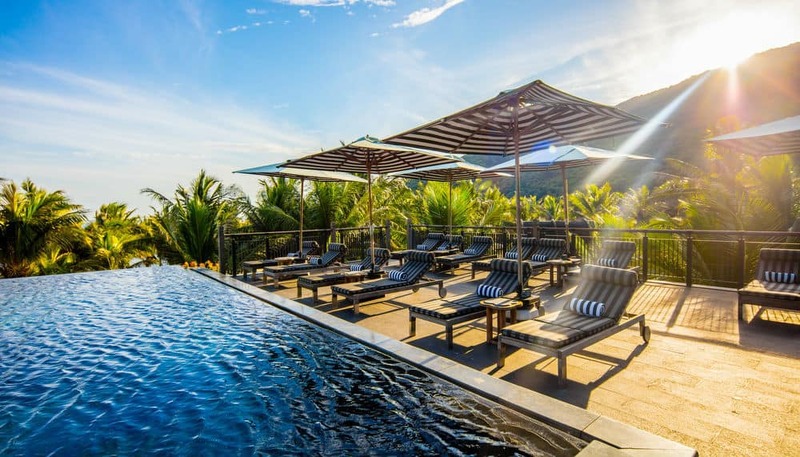 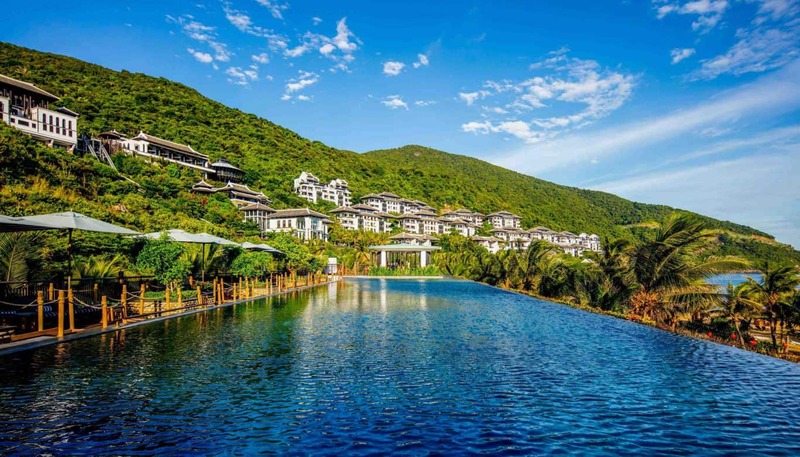 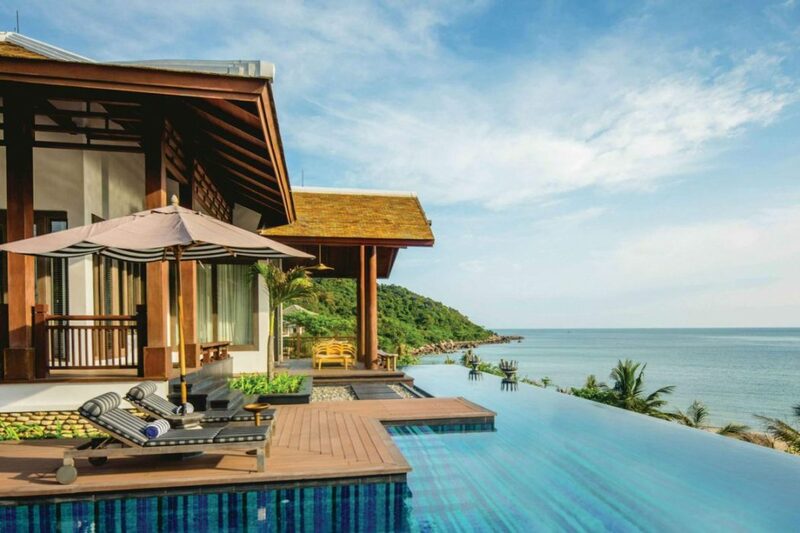 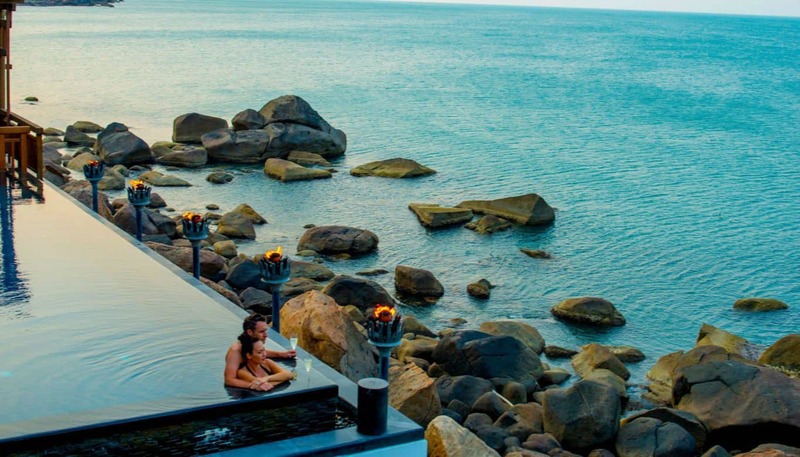 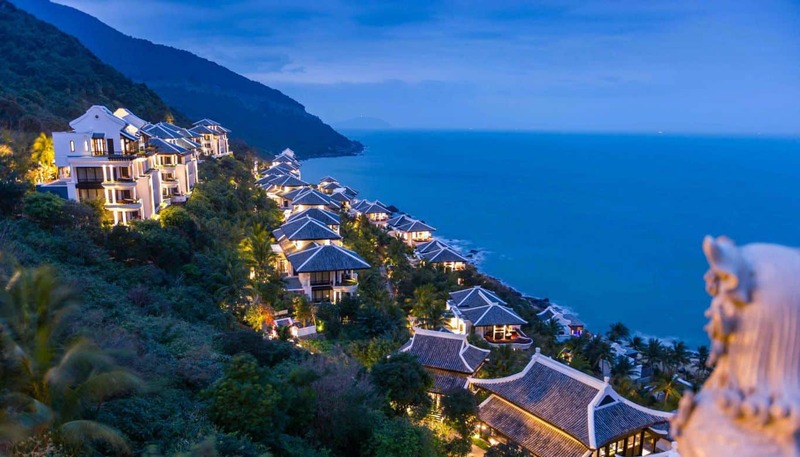 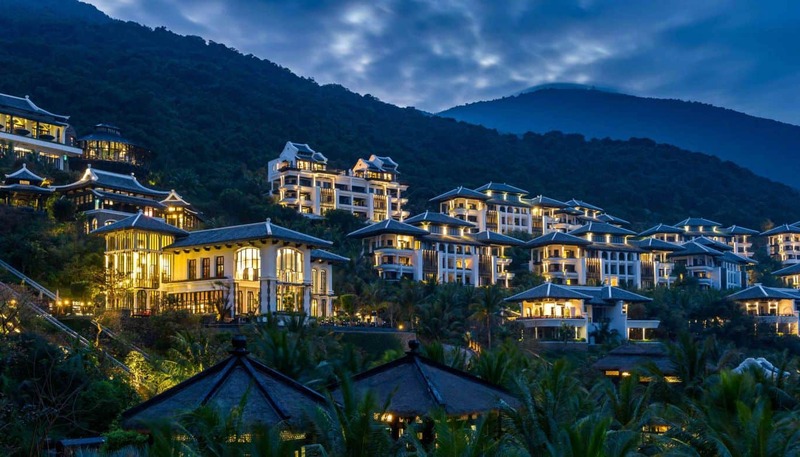 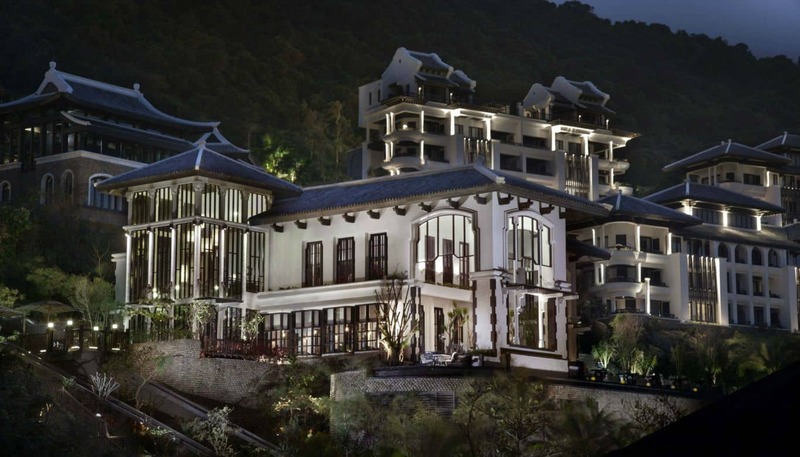 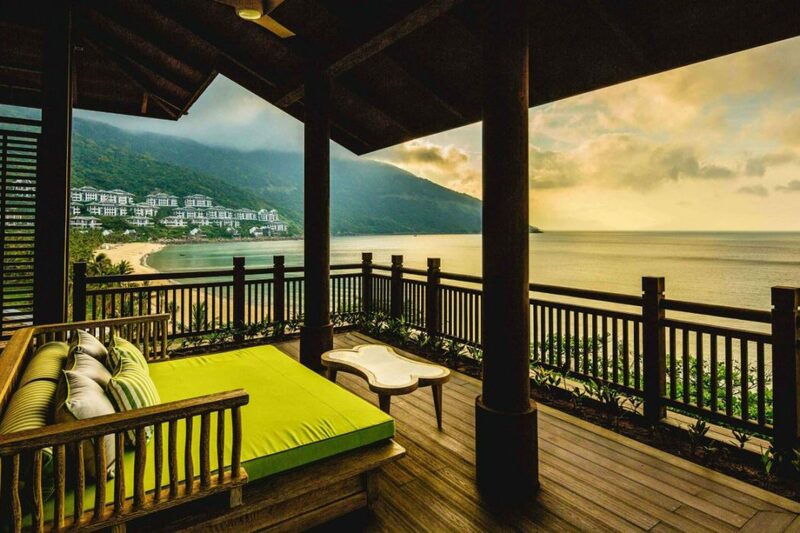 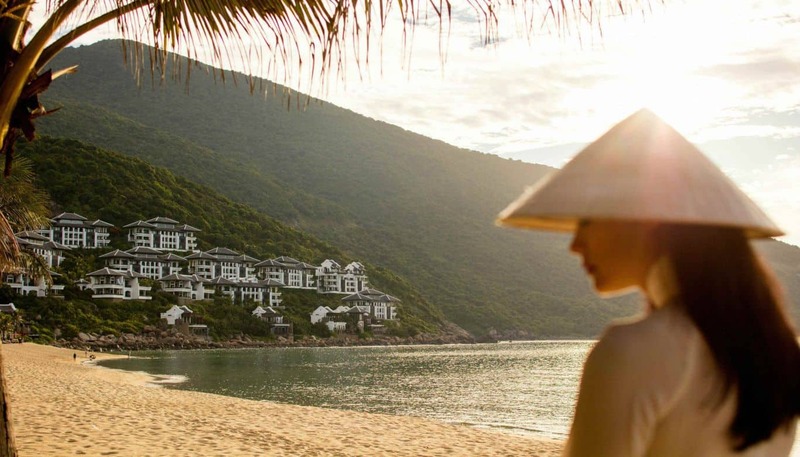 Enjoy the very best of Vietnam at the multi-award winning InterContinental Danang Sun Peninsula Resort, a luxury hillside resort and spa overlooking a sparkling private bay. 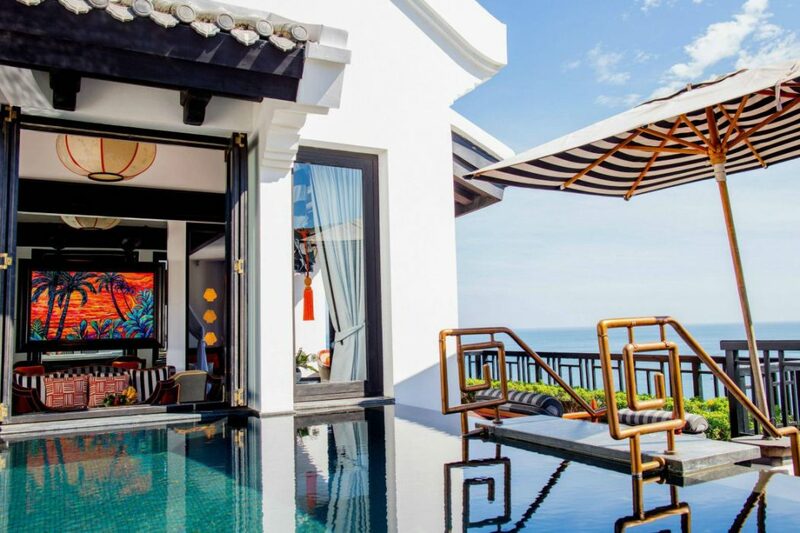 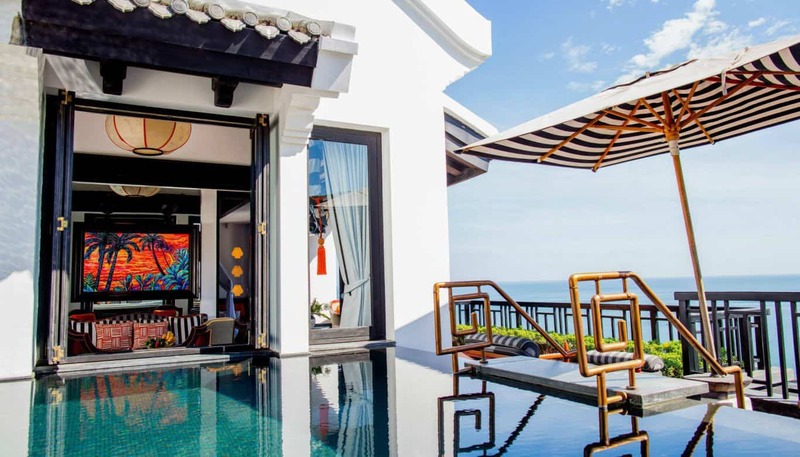 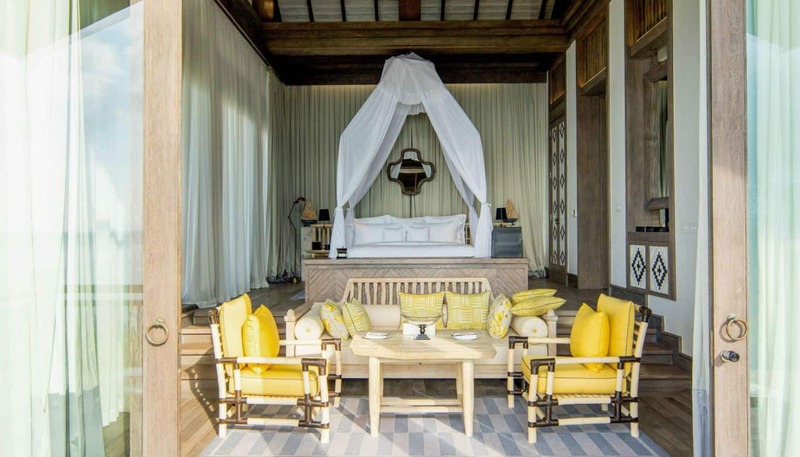 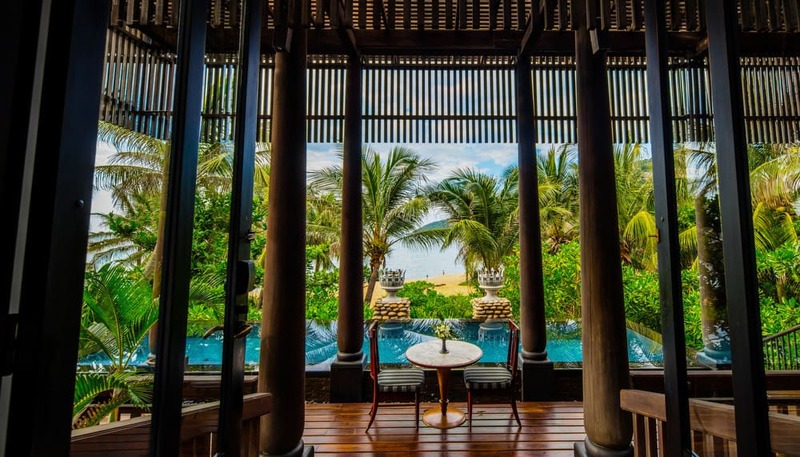 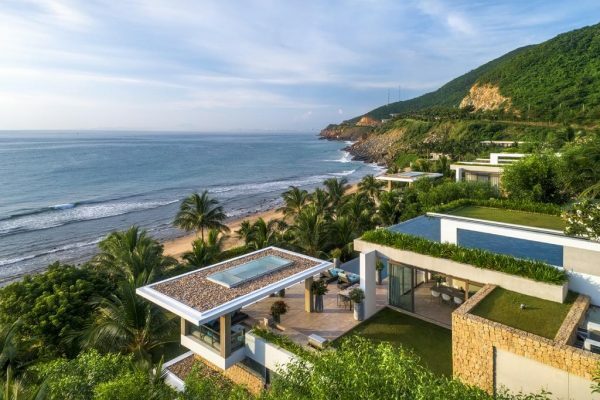 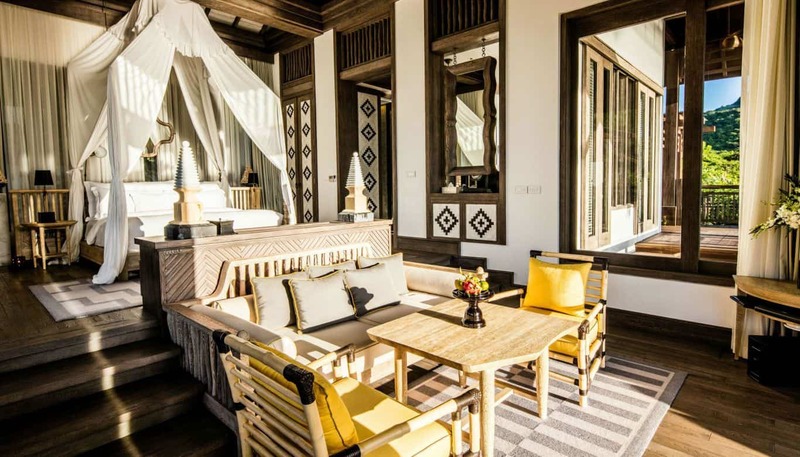 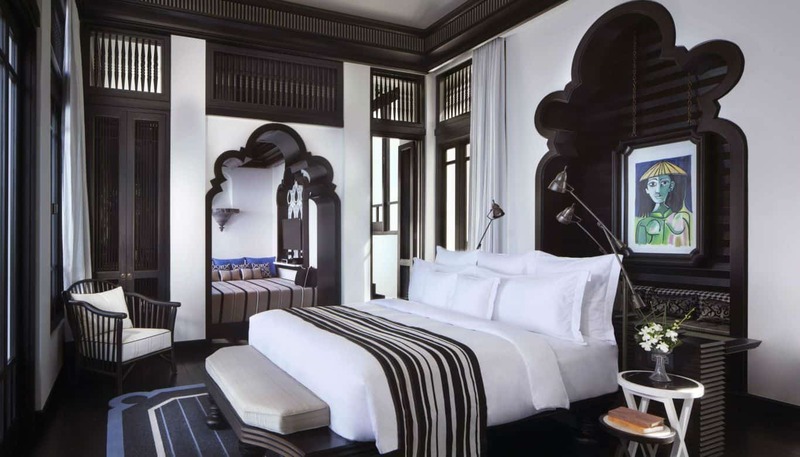 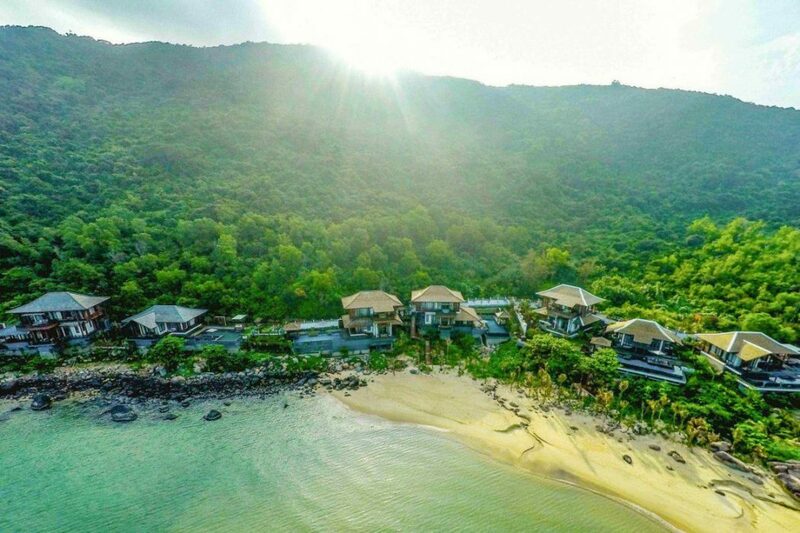 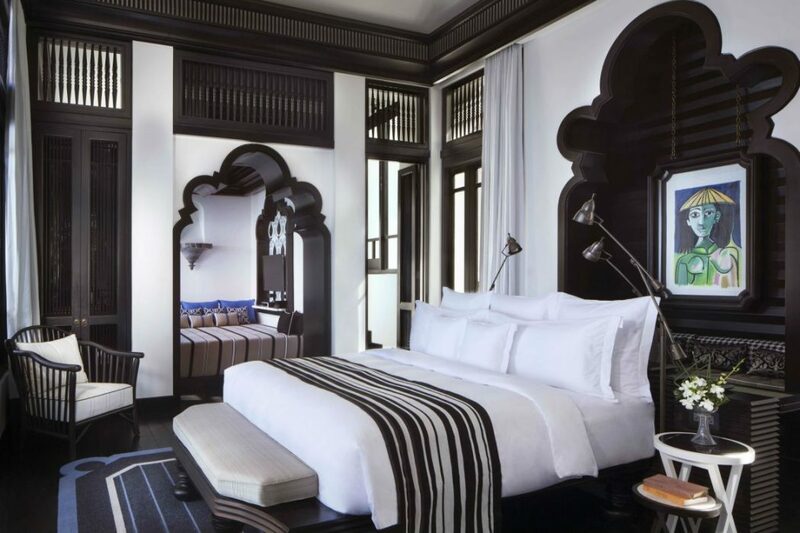 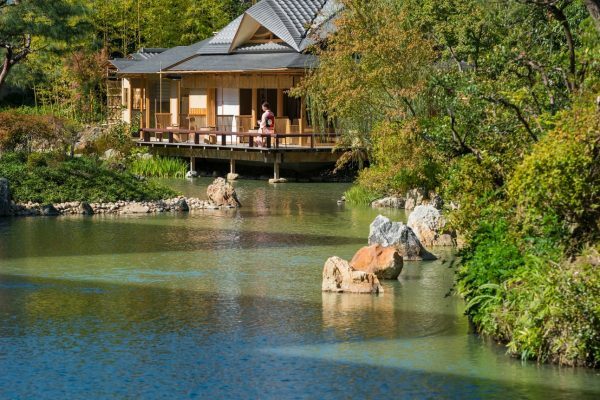 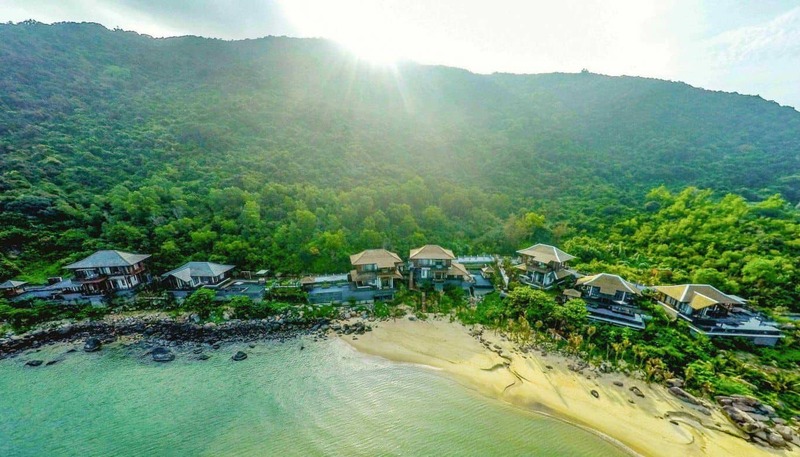 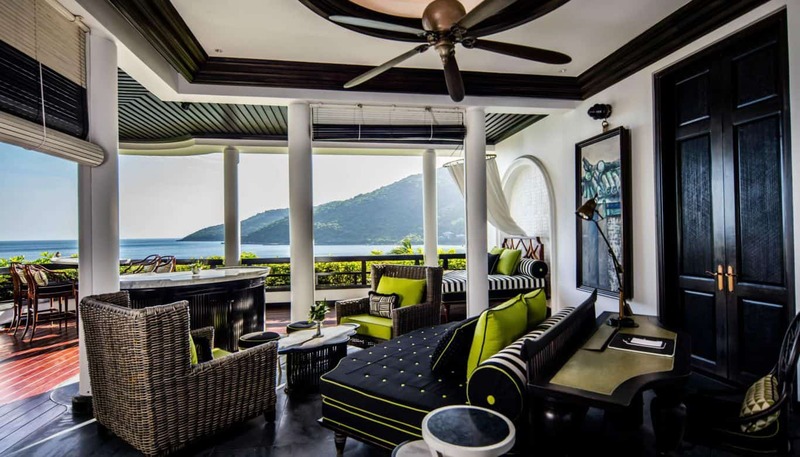 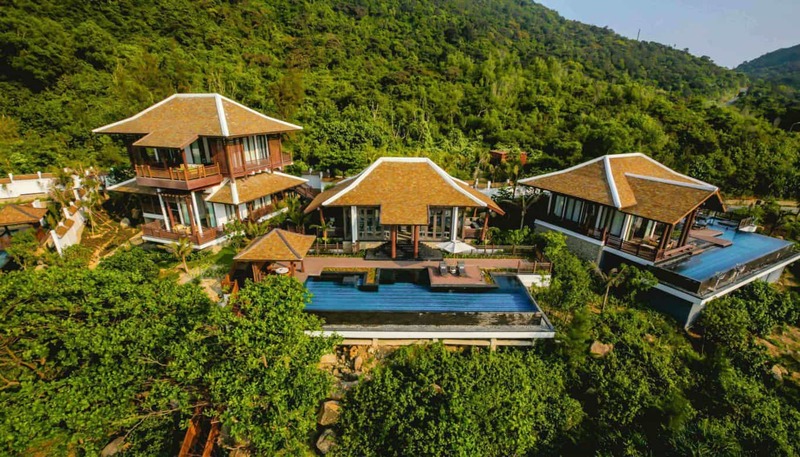 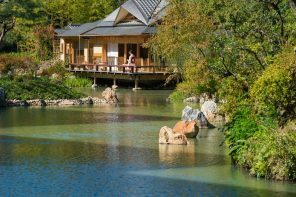 Famed architect Bill Bensley has reimagined Vietnamese design, history and myth with his characteristic whimsy, creating a magical retreat over four levels—Heaven, Sky, Earth and Sea. 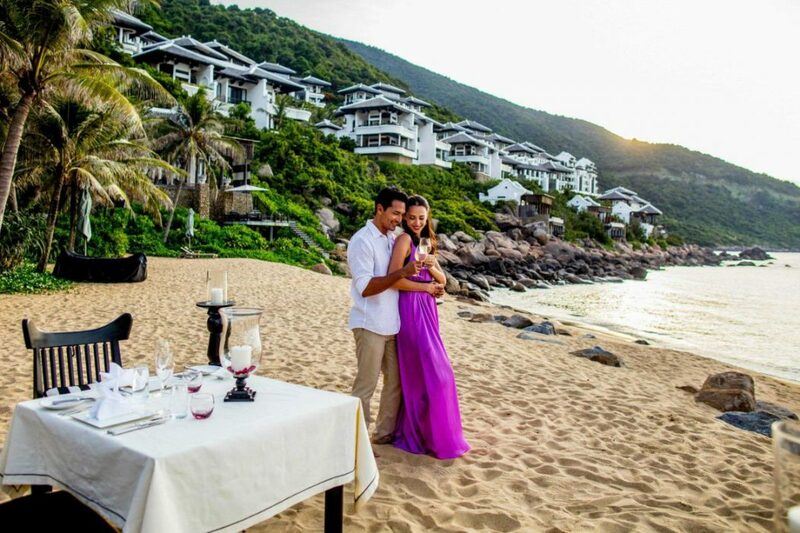 InterContinental Danang Sun Peninsula Resort provides a luxurious retreat with private beach and a large outdoor swimming pool. 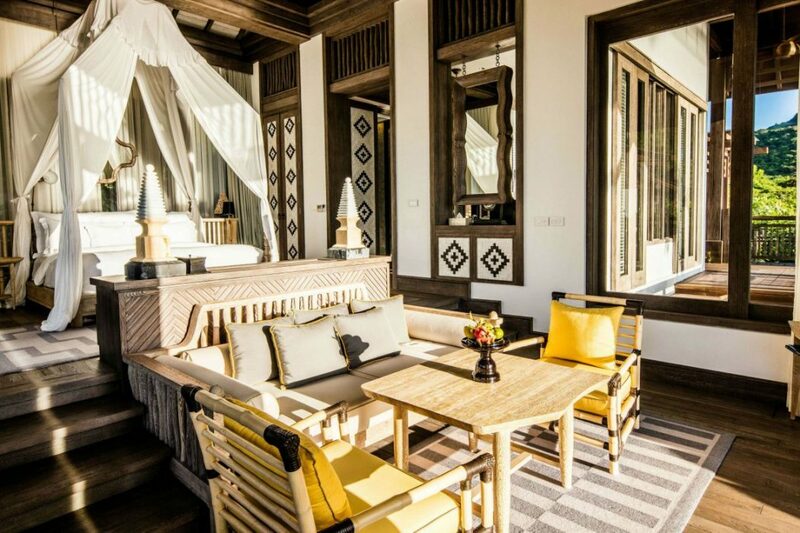 Guests can enjoy a meal at one of the resort’s 3 restaurants. 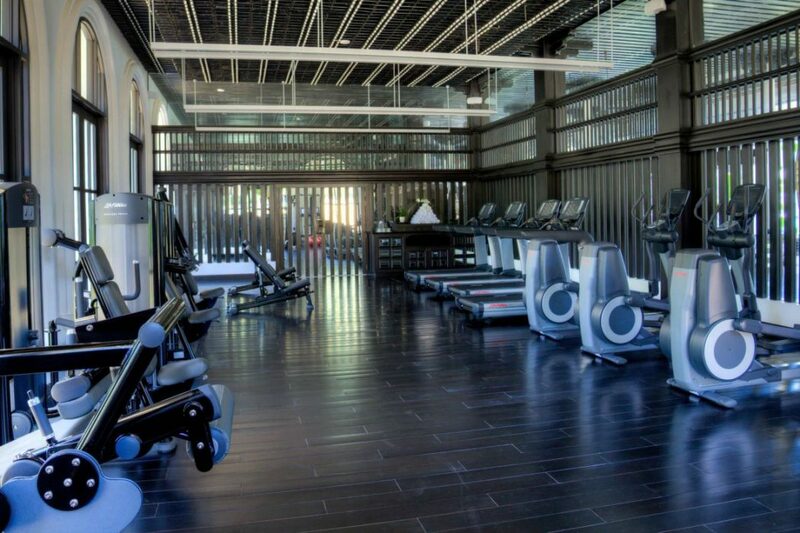 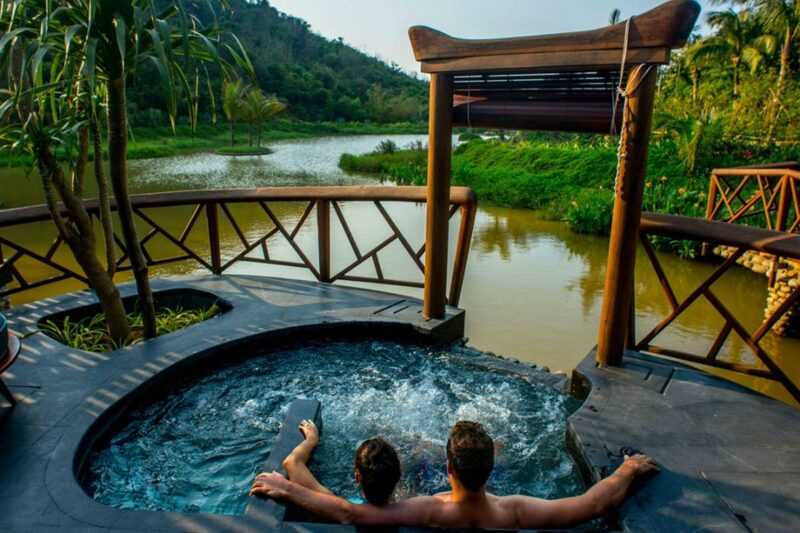 At Heritage Spa you can enjoy a unique experience of inspired wellness amidst tropical nature in a stunning location. 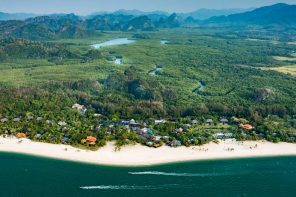 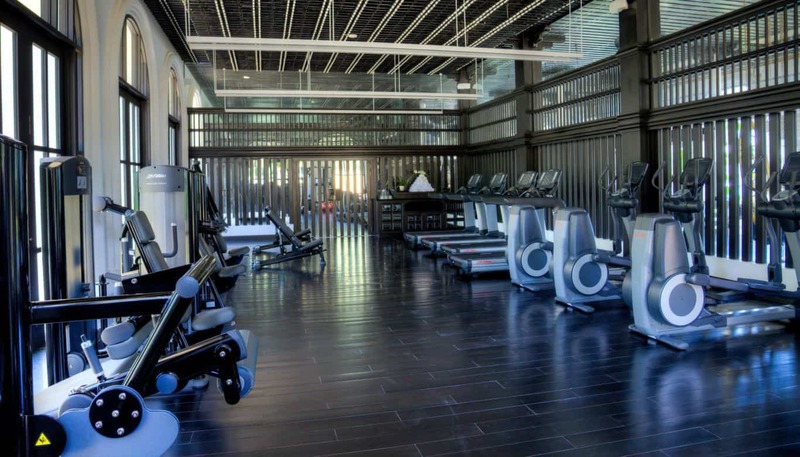 Activities such as Beach, Kids’ club, Water sport facilities (on site), Entertainment staff, Bikes available (free), Snorkelling, Cycling, Hiking, Library, Bicycle rental (additional charge), Karaoke, Billiards, Children’s playground, Fishing, Tennis court can be enjoyed on site. 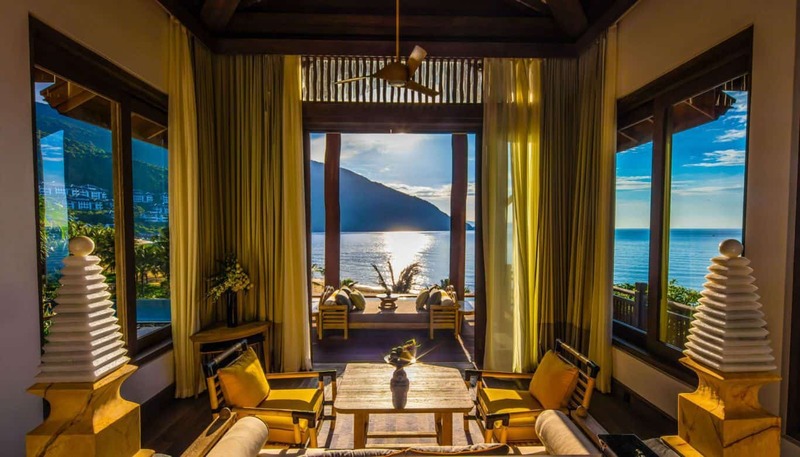 There is also a games room for guests to use. 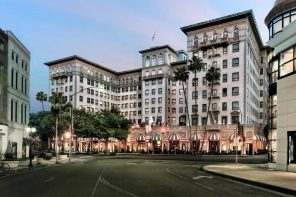 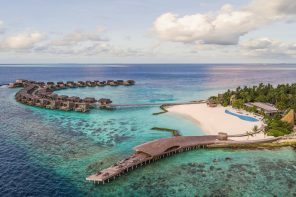 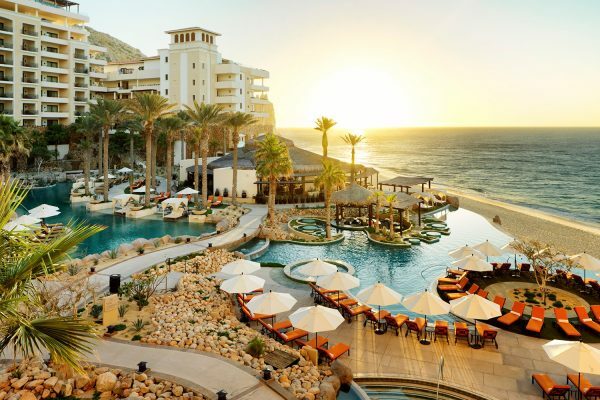 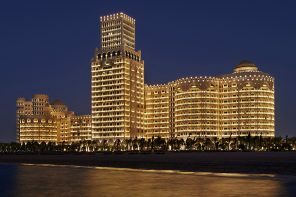 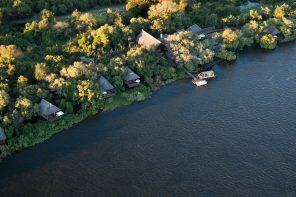 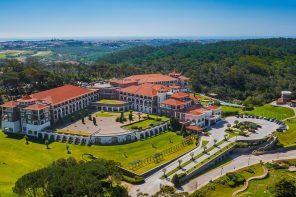 Stay First Class with our Club InterContinental accommodation to experience the finest the resort has to offer: luxurious indoor-outdoor living, first-rate amenities, exclusive access to a private beach, elite butlers and a wealth of exciting culinary delights. 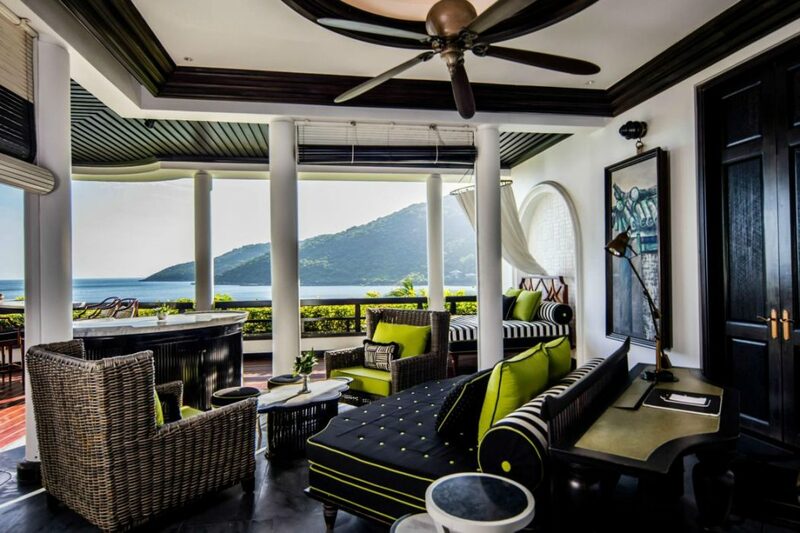 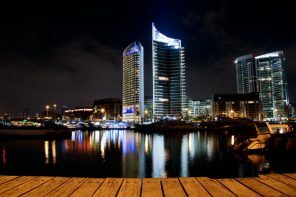 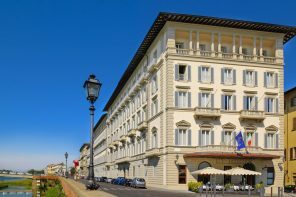 All accommodation are luxuriously decorated and provide private balconies. 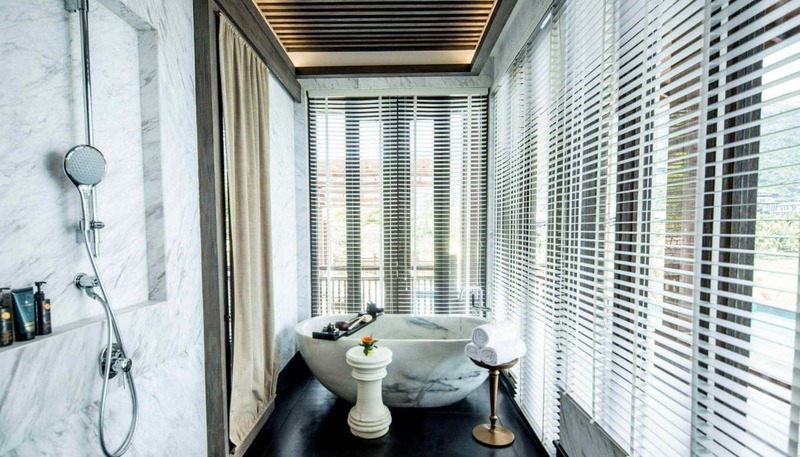 Every accommodation is equipped with lavish bathroom amenities, including a separate bathtub, rain shower and couple’s vanity sinks. 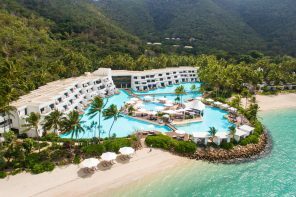 Entertainment is of the highest quality: the flat screen TV boasts no less than 81 channels and a top-of-the-range BOSE surround sound system. 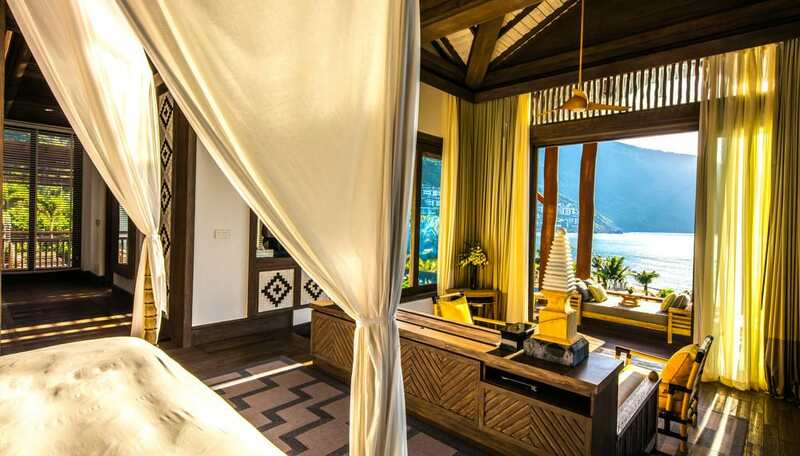 Also included in each room is an espresso machine and mini-bar. 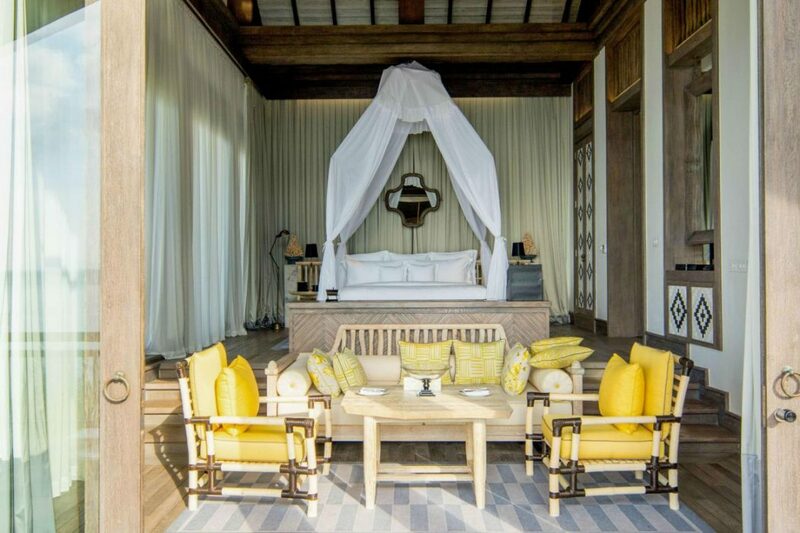 Select rooms have a spa bath and a private dining pavilion offering magnificent ocean views. 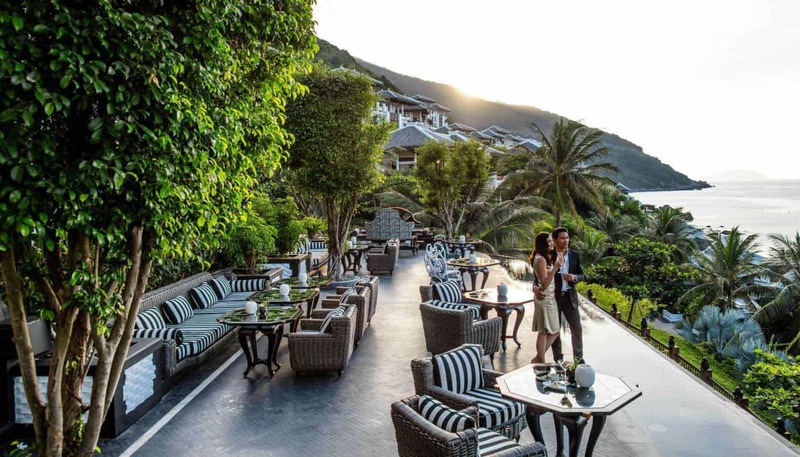 The InterContinental Danang Sun Peninsula Resort brings a new level of culinary landscape, with a variety of venues, tastes, and experiences to satisfy every occasion. 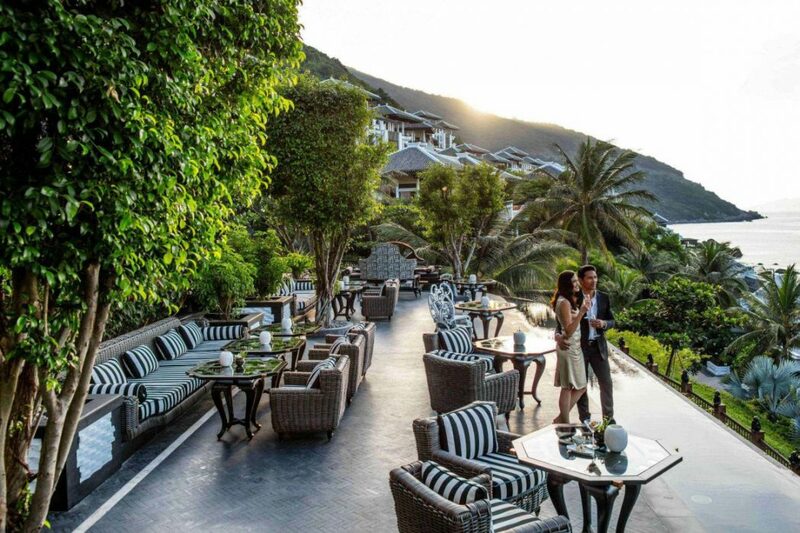 Citron Restaurant, Enjoy fresh Vietnamese delicacies in private booths, in the shape of inverted Non La (Vietnam’s iconic conical hats) float out over the hillside 100 meters above sea level, with spectacular views of the entire bay and surrounding mountains. 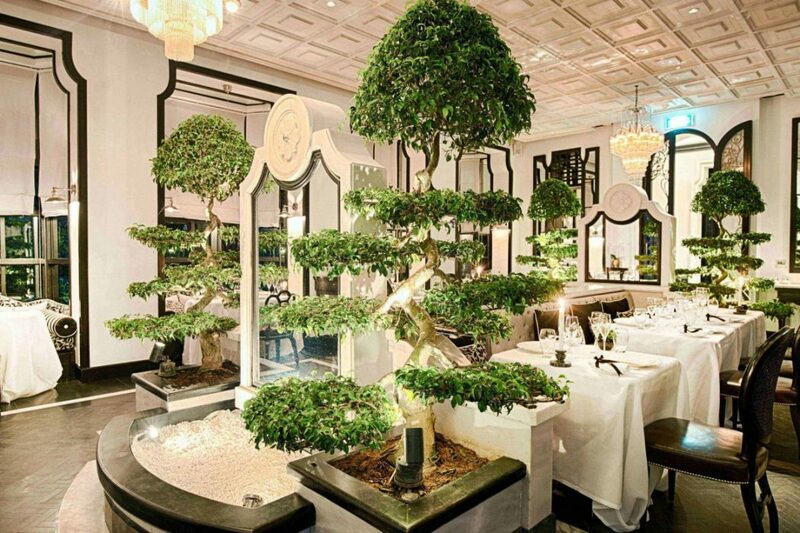 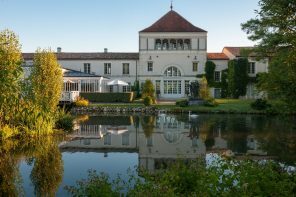 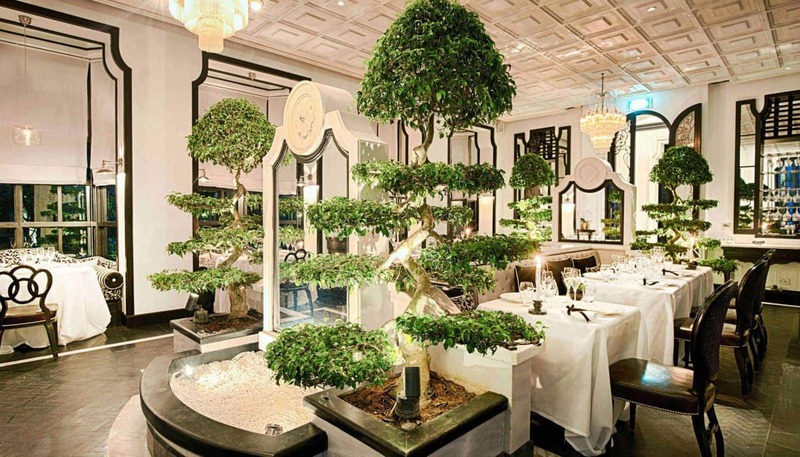 La Maison 1888, this truly special restaurant was designed to recreate an antique French mansion. 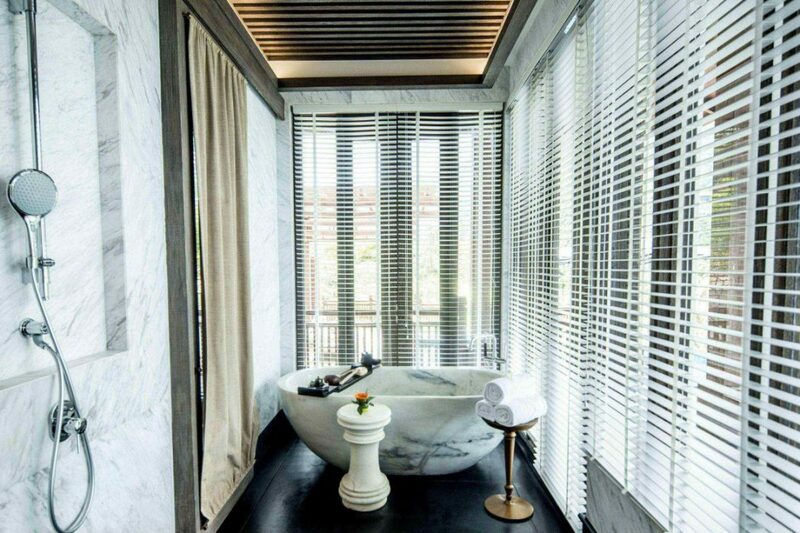 Buffalo Bar serves vintage champagne and premium hand-rolled cigars. 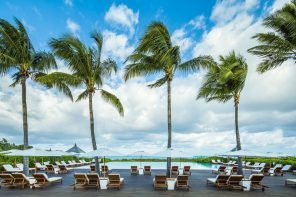 Visit Barefoot and sample delicious grilled meats and fresh seafood paired with cocktails and wines.